Serving the Everett area with professional medical massage for over 20 years. If you’re in need of an effective and therapeutic way to relax, Hanson Chiropractic offers a variety of therapeutic massage techniques that will both rehabilitate and reinvigorate your body holistically. 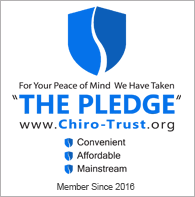 Any of our massage techniques can be incorporated into a patient’s treatment plan including those plans that fall under medical massage, which is massage that is prescribed by your doctor. We make sure that each of our patients is completely at ease inside the comfort and serenity of our office, and we specially tailor your massage session to meet your specific needs. Click here to find out more about medical massage for pain relief. Click here to learn more about medical massage for pain relief. No matter who you are, what your occupation might be, or what injuries you might have sustained, we guarantee your treatment will be done with the utmost care. Are you ready to experience the many benefits of massage therapy treatment? Schedule an appointment with Hanson Chiropractic by sending us a message or calling 425-355-3739. The power of touch has always fascinated me. I remember hearing a story when I was studying psychology in college about two sets of lab rats in a study. The rats in the lower cages had lower cholesterol and blood pressure than the rats in the upper cages. Graduating Everest College in 2013, I found my love for helping others through touch. I’ve gained experience by working at several other chiropractic places but fell in love with Hanson Chiropractic. I always had a hard time figuring out what I wanted to be and what I wanted to accomplish in life. Knowing I wanted to serve and help people, along with doing something that was family friendly, I really started doing some research to make that dream come true. When I discovered massage, I knew that it fit with my lifestyle choice. Calla Thompson is a Licensed Massage Practitioner and a Graduate of Brenneke School of Massage. She treats patients with whiplash, back pain, neck pain, migraines, and jaw pain. She spends her free time hanging out with her toddler, taking her big dog to the dog park, and of course cleaning up after both of them! Calliope Edwards is a 2010 graduate of Everest College in Fife, WA. She specializes in Relaxation, Injury Treatment massage, Deep Tissue, and Swedish massage. In her free time, Calliope is an aspiring science fiction, steampunk, and fantasy novelist and an artist. What I appreciate most about being a massage therapist, is being able to play a role in the recovery process to those who have sustained an injury, are recovering from surgery due to injury and those who live in chronic pain.